Show us your map of Tassie! Therese finished work today- Yippee 12 months leave! So now we are excited, packed and ready to go. I have to say farewell to my girls (the 4 chickens) who are going to a new home courtesy of our comrades at Permaculture Out West. 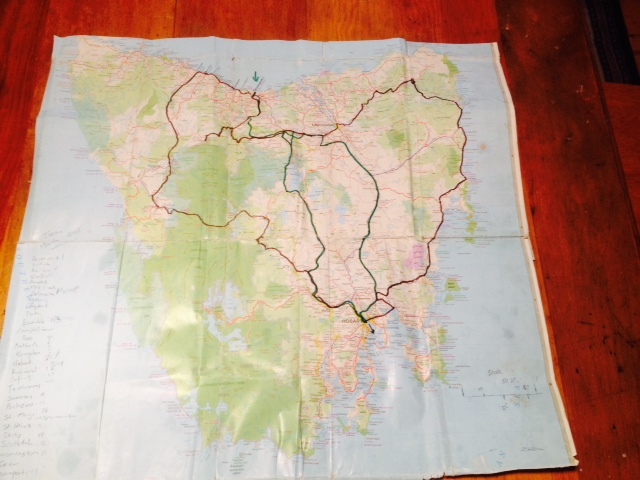 Time to dig out my old map of Tasmania, marked as it is from my two previous solo bicycle touring adventures there. People ask which route I’m going to take this time, I say I will take Therese because she stuck with me during the drought. The Spirit of Tasmania docks in Devonport on Sunday evening, where we will be staying overnight with our Warmshowers hosts. From there we travel south east through historic and beautiful Tasmania, making our way down to Hobart where we hope to enjoy the delights of Salamanca Market and MONA. After Hobart we’ll come back via the east coast where I hope to get my rod out and do some fishing. 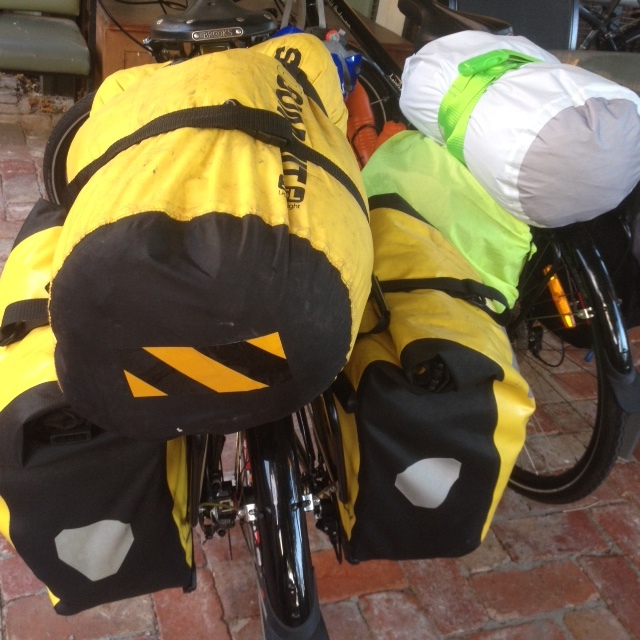 We will cycle tour roughly 1200 kilometers and will camp out as much as possible. There will be plenty of time for detours and diversions, while testing out our gear and ourselves before we begin our big cycle adventure from Canada to Mexico in late March. After all the planning, organising and training it’s all coming together nicely. Which route this time ? Nice work Nikolai ….. you haven’t lost it !